The word "yoga" has many meanings, including "meditation", "method", and "union." While the physical exercises of Hindu yoga are familiar to westerners, the subtle metaphysics and refined methods of spiritual development that characterize Buddhist Yoga are not yet well known. This volume presents a landmark translation of a classical sourcebook of Buddhist Yoga, the "Scripture Unlocking the Mysteries," a revered text of the Yogachara school of Buddhism. The study of this text is essential preparation for anyone undertaking meditation exercise. 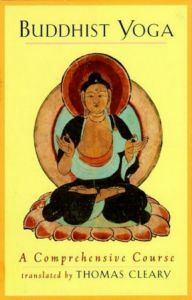 Linking theory and practice, the scripture offeres a remarkably detailed and thorough course of study in both the philosophical and pragmatic foundation of Buddhist yoga, amd their perfect, harmonious union in the realization of Buddhist enlightenment.